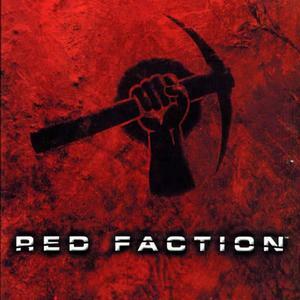 Red Faction: Guerrilla surprised gamers with its open-world approach and creative application of destruction options. Red Faction: Armageddon will surprise Guerrilla fans who haven’t been following preview coverage, because in many ways it does the opposite of Guerrilla: instead of an open world you get linear corridors; instead of tons of vehicles to tool around in, you get a handful of vehicles to use in specific levels (but the vehicles are all awesome); instead of human enemies you get (mostly) alien monsters. Armageddon is still a good game, but if you want more of the freeform mayhem Guerrilla offered, you may be unhappy with the new direction. We’re not sure why developers Volition decided to do away with the open world – maybe they felt they’d done all they could with it. Maybe they got tired of human enemies and realized monsters are scarier in dark caves. Maybe the artists got sick of texturing red and brown mountains. Armageddon is what it is, but it handles its new approach always competently and sometimes expertly. The big question is: is “linear” a bad word to you? It isn’t for us, because we can enjoy the more focused experience of a linear action game. If being funneled down caverns sounds really unappealing, approach Armageddon with serious caution, but the game offers plenty of delights, especially if you enjoyed the destruction from Guerrilla, because the weapons in Armageddon get cuh-razy. Previous: Here Comes Windows 8! Next: Baba Ramdev Issue? Whats happening in India?